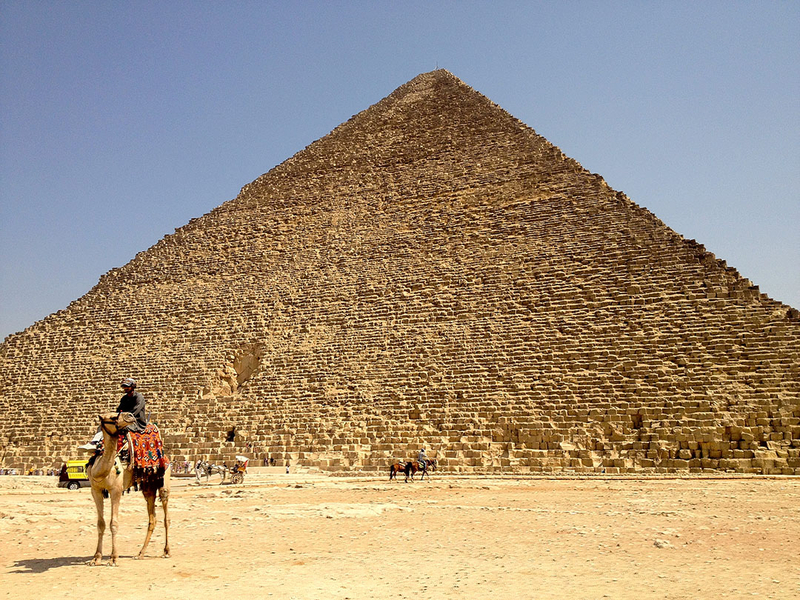 Egypt’s history is mind-blowing. If there’s one thing you get out of this post, it’s that you should absolutely do your research about this country before you visit. 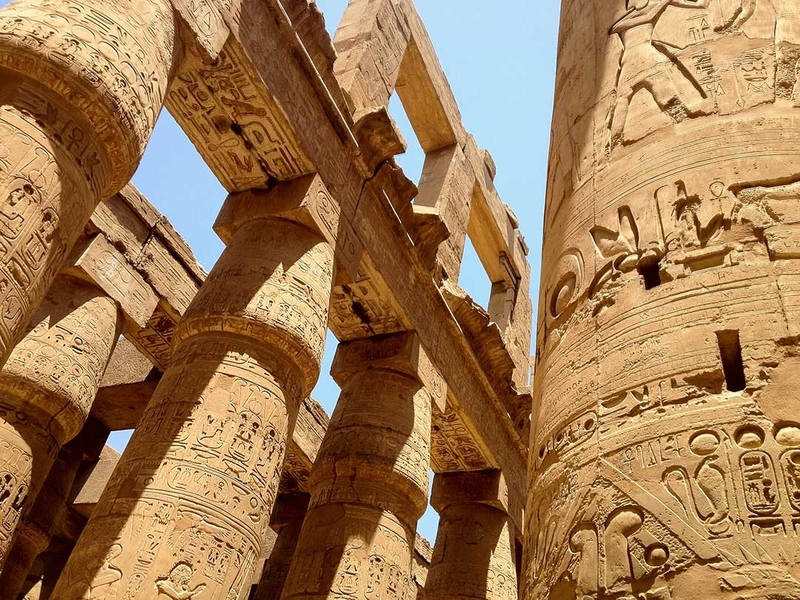 I’ve always been fascinated by the intriguing past of the Egyptian civilisation, and have learnt so much more since leaving this magnificent country that I just can’t wait to go back and fully immerse myself. My week-long trip to Egypt began in Cairo, with an excursion out to the Great Pyramids of Giza, an…interesting…overnight train to Aswan, followed by a sightseeing flight to Abel Simbel right down near the Sudan border, then headed back north to Luxor, out swimming in the Red Sea with a unique trip out to a Nubian village (post coming! ), and back up to Cairo. 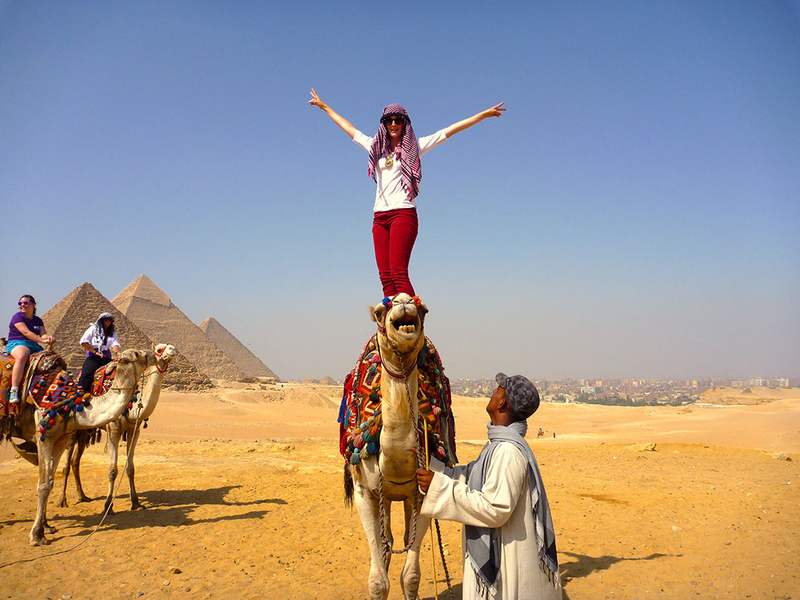 As much as I loved my overall experience of this trip and would go back to Egypt in a heartbeat, I have to be honest with you – it was plagued with disaster. From being horribly ill and finding myself in a mud hut “hospital”, to getting mugged on the street and ending up with a concussion (more on that in my next post!). 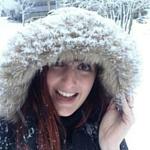 But I’m going to keep it positive and open-minded in this post, because I had so many incredible and truly unique experiences here that being in the wrong place at the wrong time is certainly not going to ruin my memories of a great destination. 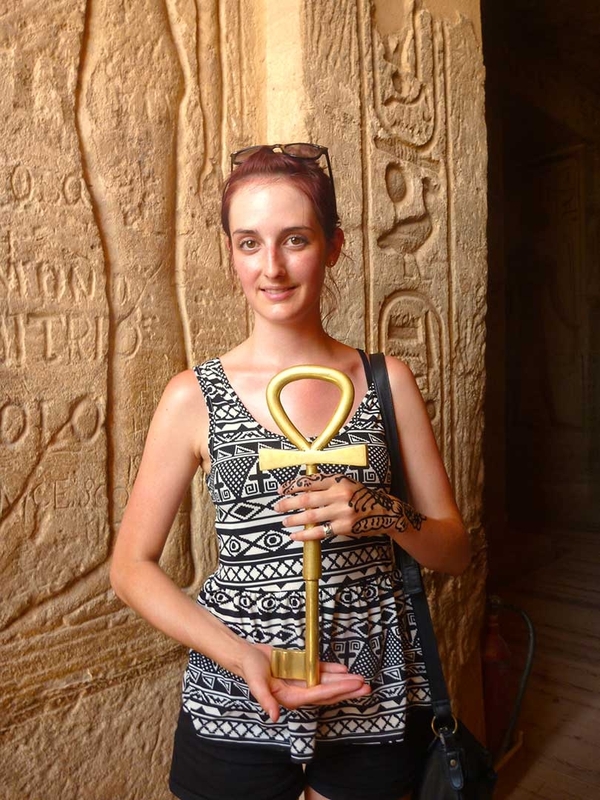 As a solo female traveller, I chose to participate in a tour while in Egypt. 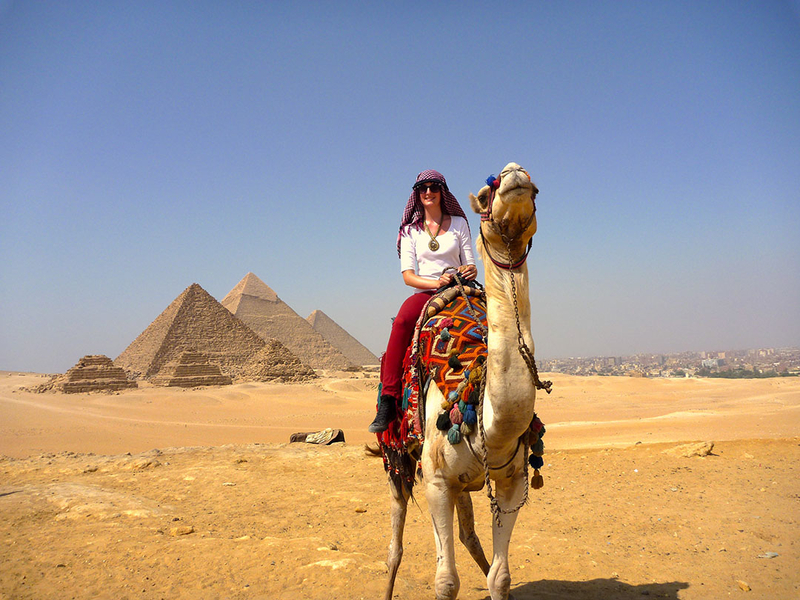 At the time, in 2012, I did a 45-day Contiki Tour called the Ultimate European + Egypt Extension. Although I had a fantastic time on this tour and would definitely recommend it to people for their first time travelling “alone”, I am certainly a different traveller these days and would consider G Adventures or Intrepid Travel for my next visit – small-group tour operators, specialising in adventure travel. Not many people can say they’ve raced a camel through the desert past the Great Pyramids of Giza. Now THAT was an incredible experience. I was wearing my newly purchased pink headdress, initially because I wanted to look the part, but also kind of because the sun was so damn hot I just needed to hide like a vampire with my pale skin! Charlie and I hit it off pretty quickly. He was fairly disgusting, and spat and snorted all the time, but he had a pretty cool hair cut, and looked like he’d had his wheat-bix that morning; a fast runner! We were a good duo! 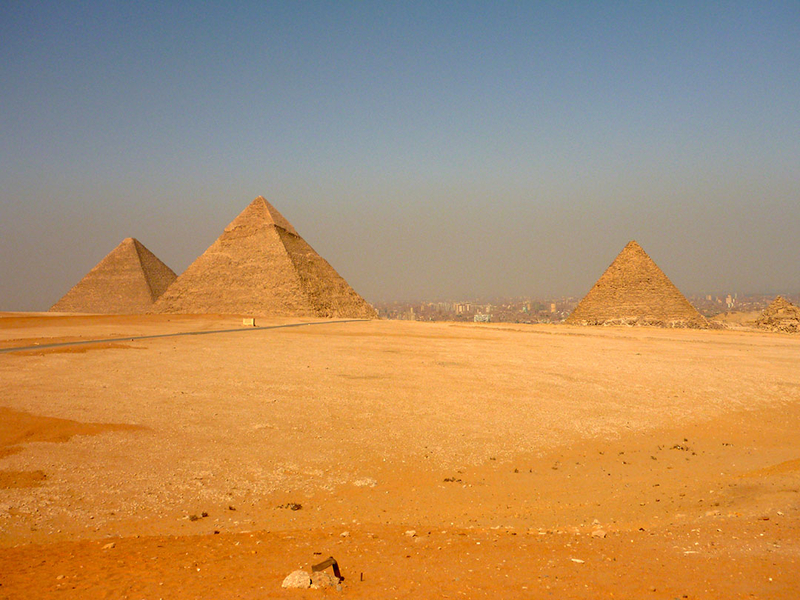 Charlie and I raced along the hot sand and took in the incredible sight of the Pyramids beside us. I won’t ever forget that feeling. 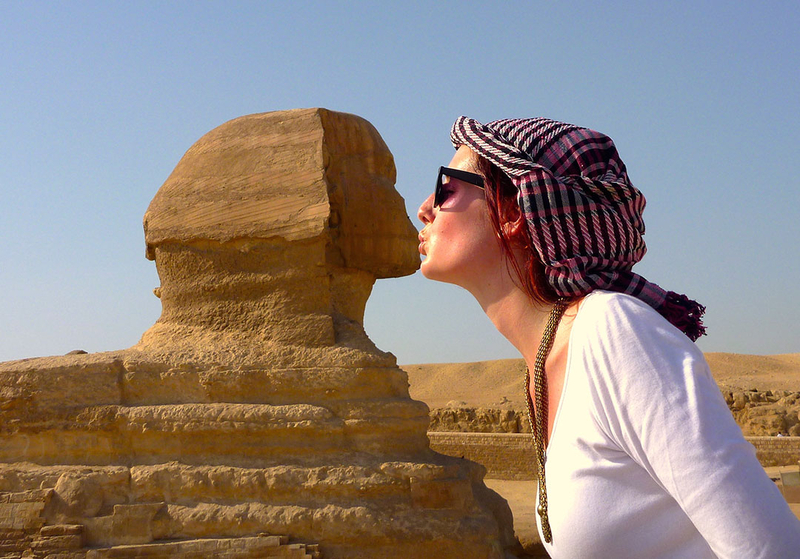 A trip to Egypt would not be complete without a terrible tourist photo of you kissing the Sphinx. I’m already looking back at this photo and cringing – if only I knew then what I know now about photography…this is literally the best photo I have of the Sphinx and it’s got my big old head in the shot! Haha live and learn, but sometimes you just have to admit you do want the loser-tourist photo. As always, there are hawkers around every corner, particularly a lot of children. While trying to take the ‘perfect’ Sphinx shot, I had little kids running up to me asking to take it for me. Sorry guys, not going to hand my camera over to you…they got the hint and moved on to the next tourist. 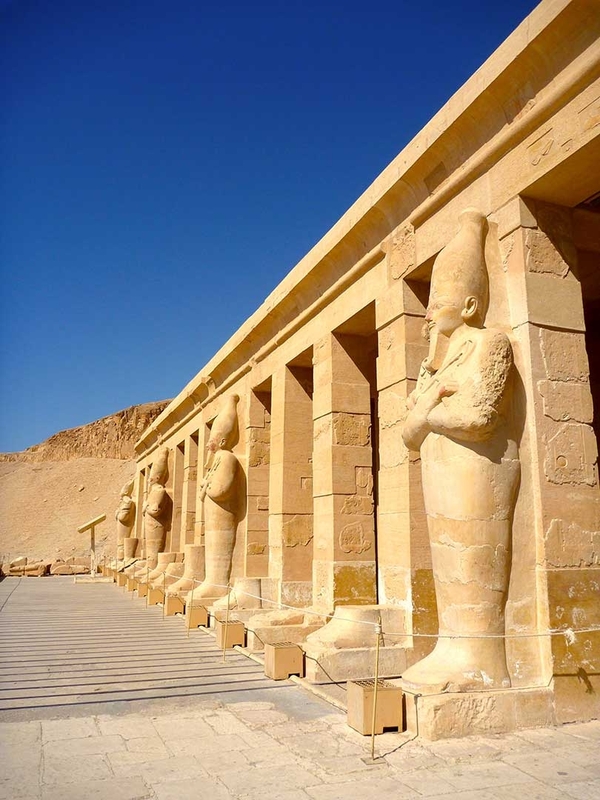 As I mentioned earlier, I’m fairly interested in Egyptology and was particularly excited about visiting some of Hatshepsut’s monuments she erected while she was ruling as Pharaoh of Egypt. I think the reason I find her so fascinating, is that she was a female Pharaoh. Her story was fairly unknown until recent history, but I’ll give you a quick summary. As the daughter of a King, Hatshepsut became Queen of Egypt at the young age of 12 after her father passed and she married her half-brother. When he also died at a young age, she became the acting regent for her infant step-son until he was of age, however after 7 years she took over and assumed full powers as Pharaoh. There are conflicting theories as to why she took the throne, and lots of drama occurred as her step-son grew up and fought her for the title. She often depicted herself as a male in statues and paintings, in an attempt to reinvent her image and prove she was worthy to the many who judged her controversial move into power. 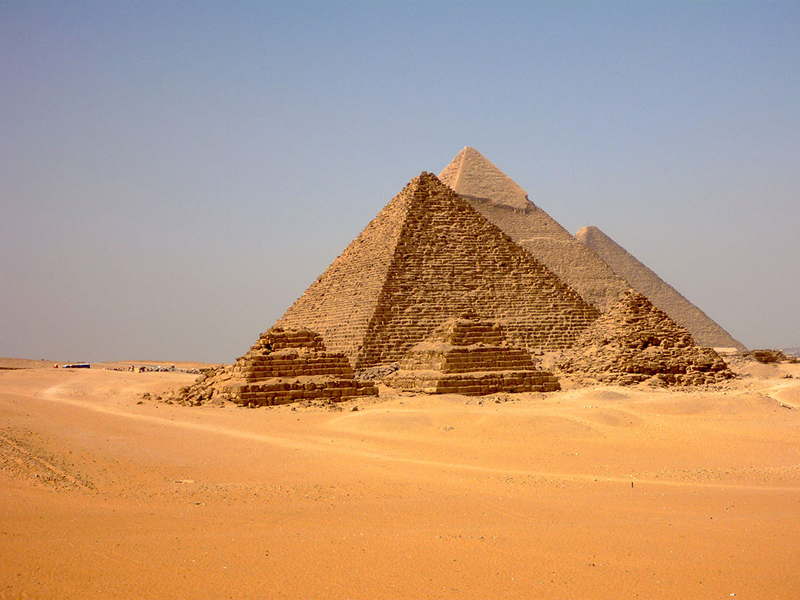 There were some incredible structures built during her reign that are still standing today, some 3500 years later. I just find her story so fascinating, being the first female to fully obtain the ruling power of Pharaoh, way back in 1473 B.C. 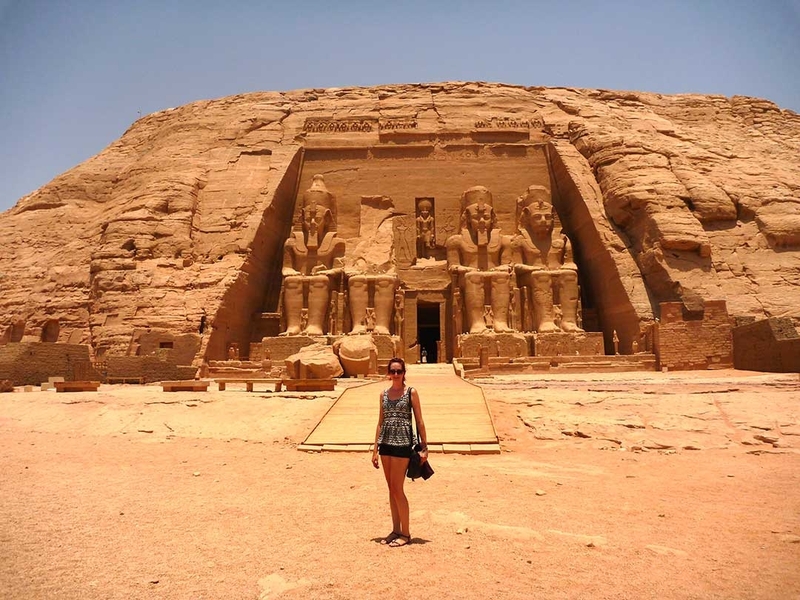 Another amazing experience was flying down to Abu Simbel near the Sudan border to see the two massive temples here that were originally carved into the solid rock cliff. 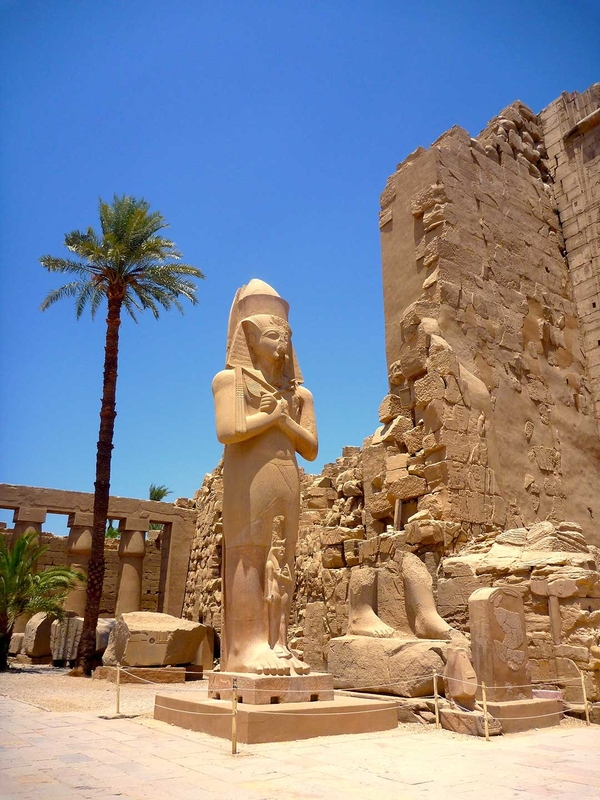 The temple complex was created during the reign of famous Pharaoh Ramesses II. 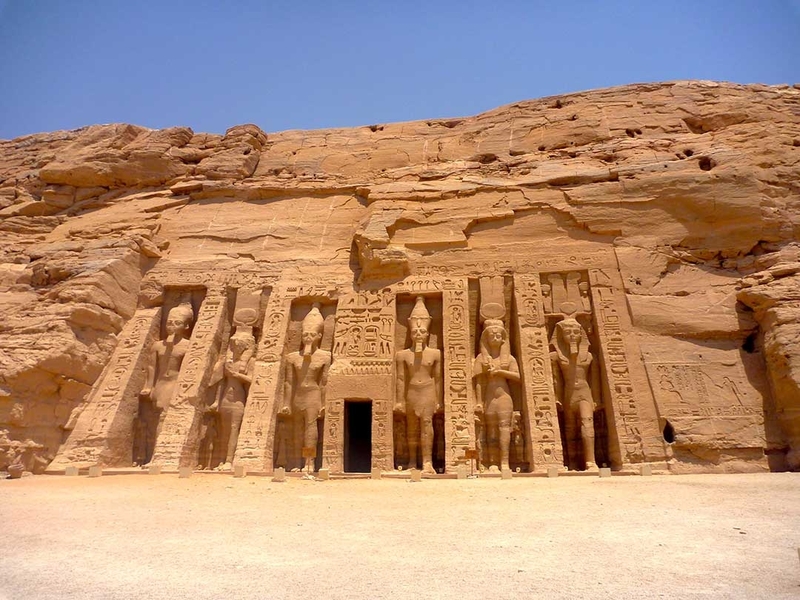 This incredible 30-metre high masterpiece that was dedicated to Ramesses II wife, Nefertari, became threatened during recent history in the 1960’s due to local government actions regarding the nearby dam – threatening to submerge and potentially destroy the monumental structure. Thankfully UNESCO jumped to its rescue and a massive team completely relocated the temples by cutting them into perfect blocks and relocating them to higher ground. Great care was taken to ensure they were facing the exact same way they was built, with a “mountain” built behind them to create the carved effect of their original location. Watermarks can still be seen inside the temples – I just can’t believe people could want to destroy something like this?! One of the absolute highlights of my trip to Egypt was visiting the Valley of the Kings, but for a reason I probably shouldn’t share. I wish I had photos from this amazing place, but you can’t take photos inside the tombs. Hatshepsut is also buried here, which is quite controversial considering she is a female buried the Valley of the Kings. Tutankhamun, or King Tut as he is better known, has been well-studied by Egyptologists as his tomb was found intact with a huge amount of treasures inside. This might have been because it all happened so quickly as he died at just 19 years of age, having reigned as Pharaoh for an impressive 10 years. It seemed fairly customary for tombs to be robbed as soon at the successor assumed power, or perhaps by the workers building the tombs themselves… I paid a little extra to enter King Tut’s tomb as I knew his mummified body was still inside the tomb in a glass case. My friend and I were the only ones inside this relatively small tomb (compared to others that are many storeys deep), and I got chatting to the ‘guard’ on the door. 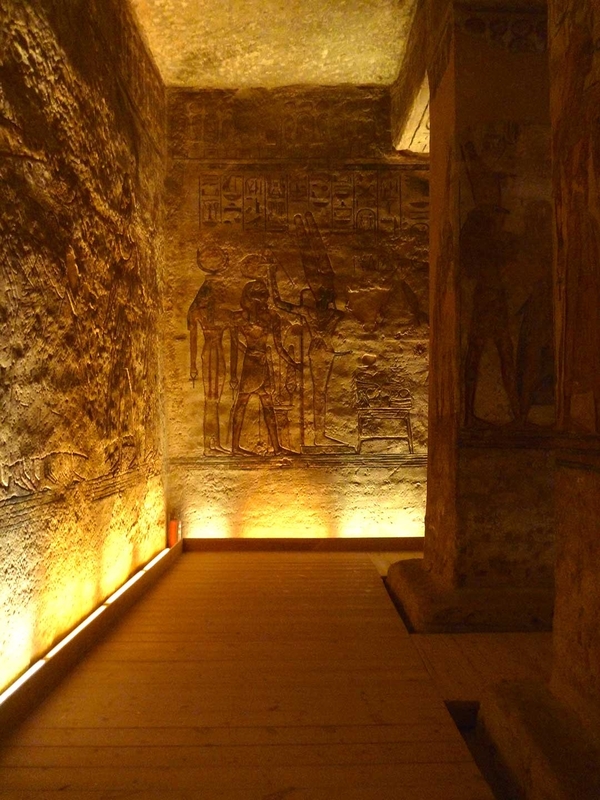 He seemed to like the fact that I was so interested in the history of the place that he allowed me to squeeze between the steel bars while no one was looking, to get right up next to King Tut. It gives me goosebumps to remember that moment; to be so physically close to someone so important in Egypt’s history, even though we were born about 3300 years apart. 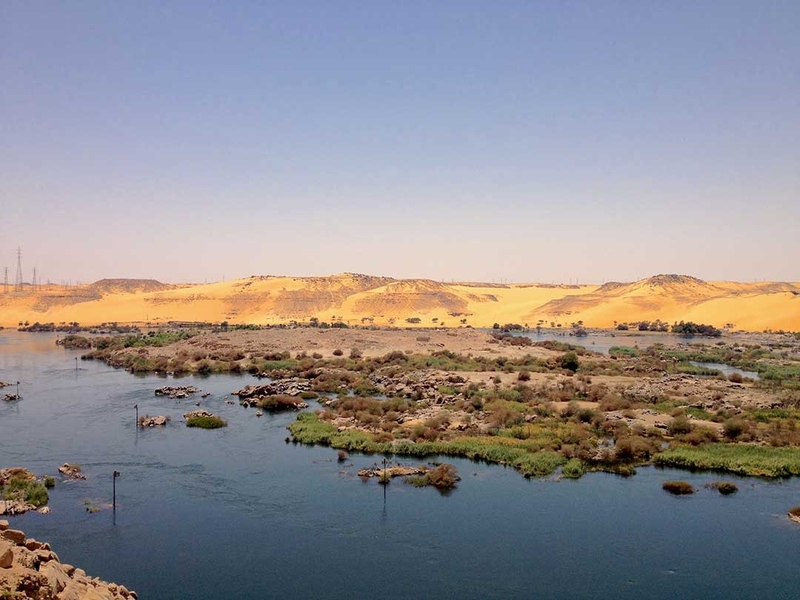 Egypt truly is an amazing country to visit, and I can’t point out enough that you will get SO much more out of your holiday if you do your research and understand a bit of history about what you’re going to see. After studying up on Egyptology a lot more after this trip, I am definitely looking forward to my next visit where I feel I will appreciate its significance so much more. Have you been to Egypt? Is it high on your travel list?